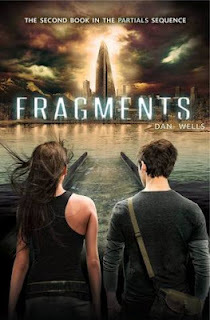 "Kira Walker has found the cure for RM, but the battle for the survival of humans and Partials is only just beginning. 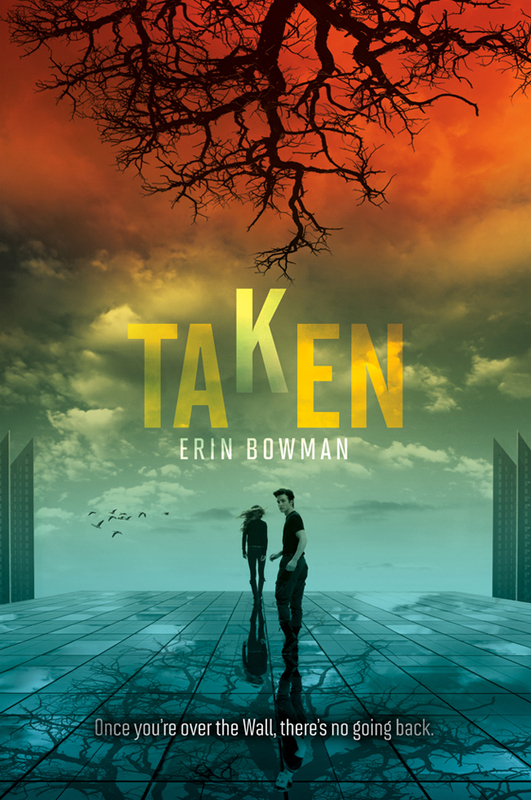 Kira has left East Meadow in a desperate search for clues as to who she is. That the Partials themselves hold the cure for RM in their blood cannot be a coincidence-it must be part of a larger plan, a plan that Kira knows she is a part of, a plan that could save both races. Her allies are Afa Demoux, an unhinged drifter and former employee of ParaGen, and Samm and Heron, the Partials who betrayed her and saved her life, the only ones who know her secret. But can she trust them? Meanwhile, back on Long Island, what's left of humanity is gearing up for war with the Partials, and Marcus knows his only hope is to delay them until Kira returns. But Kira's journey will take her deep into the overgrown wasteland of postapocalyptic America, and they will both discover that their greatest enemy may be one they didn't even know existed. The middle installment in the pulse-pounding Partials saga is the story of the eleventh hour of humanity's time on earth, a journey deep into places unknown to discover the means-and even more important, a reason-for our survival." MARCH sees the release of a book that I am so excited about, I just might wee a little the moment my copy drops in my letter box! Department 19: Battle Lines is the third book in Will Hill's phenomenal Department 19 series. I fell in love with book one, and last years sequel, The Rising, only cemented my love for Will and his freaking awesome work! There are two (only two... welp) books to come after Battle Lines so I intend to savour every blood-dripping, scream ripping and nightmare inducing second of it! "Dracula is on the verge of coming into his full power. 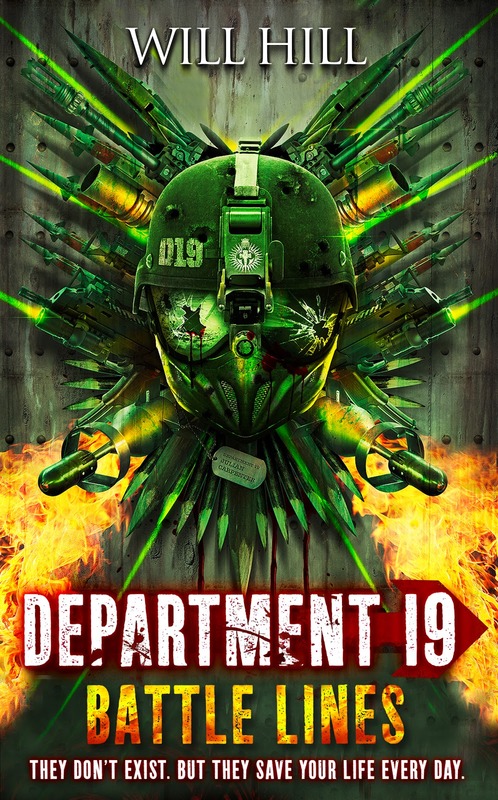 Department 19 is on the back foot. Ladies and gentlemen: welcome to war. The stakes? Mankind’s very survival… As the clock ticks remorselessly towards Zero Hour and the return of Dracula, the devastated remnants of Department 19 try to hold back the rising darkness. Jamie Carpenter is training new recruits, trying to prepare them for a fight that appears increasingly futile. Kate Randall is pouring her grief into trying to plug the Department's final leaks, as Matt Browning races against time to find a cure for vampirism. And on the other side of the world, Larissa Kinley has found a place she feels at home, yet where she makes a startling discovery. Uneasy truces are struck, new dangers emerge on all sides, and relationships are pushed to breaking point. 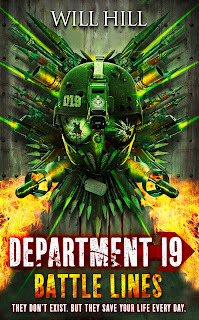 And in the midst of it all, Department 19 faces a new and potentially deadly threat, born out of one of the darkest moments of its own long and bloody history. Zero Hour is coming. And the Battle Lines have been drawn." 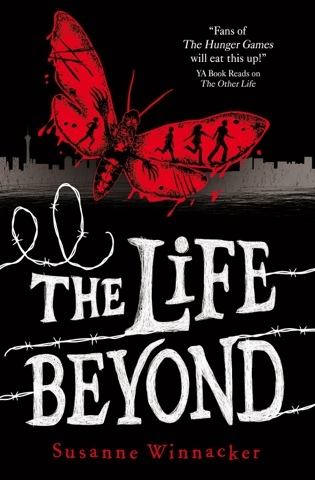 It also sees the release of The Life Beyond by Susanne Winnacker. 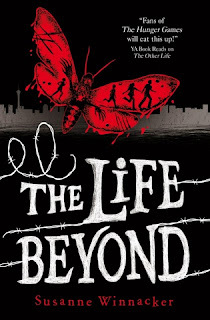 The sequel to the fantastic The Other Life, I cannot wait to see what happens next! "15, 323 hours since Sherry listened to one of her father's bedtime stories. 30, 657 minutes since she heard his laughter. Sherry's father's life is hanging in the balance... And if he turns into a Weeper, Sherry and Joshua know that the only way to save him lies on the other side of the fence - the barrier cutting them off from the rest of the world. With Tyler and Rachel, they set off into the unknown, driven by the promise of a cure, and the hope of reclaiming the life they once knew. But they find that there are more than just Weepers standing in their way... There is no going back. There is only beyond." Another release that I cannot wait for is the new book from Mr. Tom Clempson! His first book, One Seriously Messed-Up Week in the Otherwise Uneventful and Mundane Life of Jack Samsonite was one of my favourite books from 2011 and the wait for this second instalment, the equally long-titled One Seriously Messed-Up Weekend in the Otherwise Un-Messed-Up Life of Jack Samsonite, has been a murderous one. 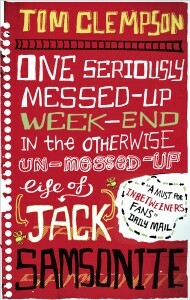 Devilishly funny and rude, appealing to the giggling little boy in all of us (or girl...) and perfect for fans of The Inbetweeners, I cannot wait to read it and giggle along at every page just like I did with the first book! "Jack Samsonite's Foolish Plan for Being Amazing at Everything (including getting a life, getting into Film School, and getting into a girl's knickers). 2.Write the world's best university application ever! (Or at least one that doesn't make me seem like a nob). 3.Don't get expelled trying to complete 1 & 2. It can't possibly fail . . . right?" "There are no men in Claysoot. There are boys—but every one of them vanishes at midnight on his eighteenth birthday. The ground shakes, the wind howls, a blinding light descends…and he’s gone. They call it the Heist. Gray Weathersby’s eighteenth birthday is mere months away, and he’s prepared to meet his fate–until he finds a strange note from his mother and starts to question everything he’s been raised to accept: the Council leaders and their obvious secrets. The Heist itself. And what lies beyond the Wall that surrounds Claysoot–a structure that no one can cross and survive. Climbing the Wall is suicide, but what comes after the Heist could be worse. Should he sit back and wait to be taken–or risk everything on the hope of the other side?" April also brings on another US import! 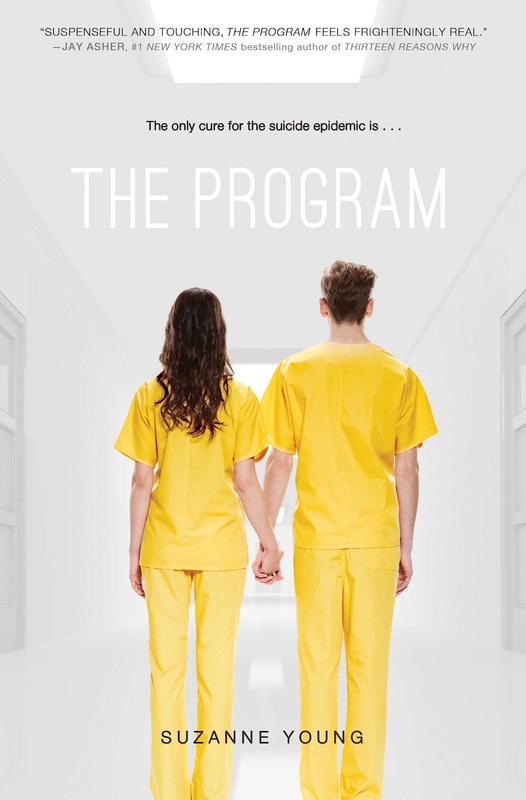 The Program by Suzanne Young! "In Sloane’s world, true feelings are forbidden, teen suicide is an epidemic, and the only solution is The Program. Sloane knows better than to cry in front of anyone. With suicide now an international epidemic, one outburst could land her in The Program, the only proven course of treatment. Sloane’s parents have already lost one child; Sloane knows they’ll do anything to keep her alive. She also knows that everyone who’s been through The Program returns as a blank slate. Because their depression is gone—but so are their memories. Under constant surveillance at home and at school, Sloane puts on a brave face and keeps her feelings buried as deep as she can. The only person Sloane can be herself with is James. He’s promised to keep them both safe and out of treatment, and Sloane knows their love is strong enough to withstand anything. But despite the promises they made to each other, it’s getting harder to hide the truth. They are both growing weaker. Depression is setting in. And The Program is coming for them."